All of these robots can't physically do a whole lot but they can communicate with many other house hold devices and draw useful information from the internet. What becomes apparent is why even have a robot when you can just build AI into your house, like Tony Stark (from the Marvel Movies) did with his AI assistant, Jarvis? That AI could then communicate with you either through loudspeakers built into your home or maybe through your smart phone if you don't want everyone to hear your house telling you to exercise more and eat less. 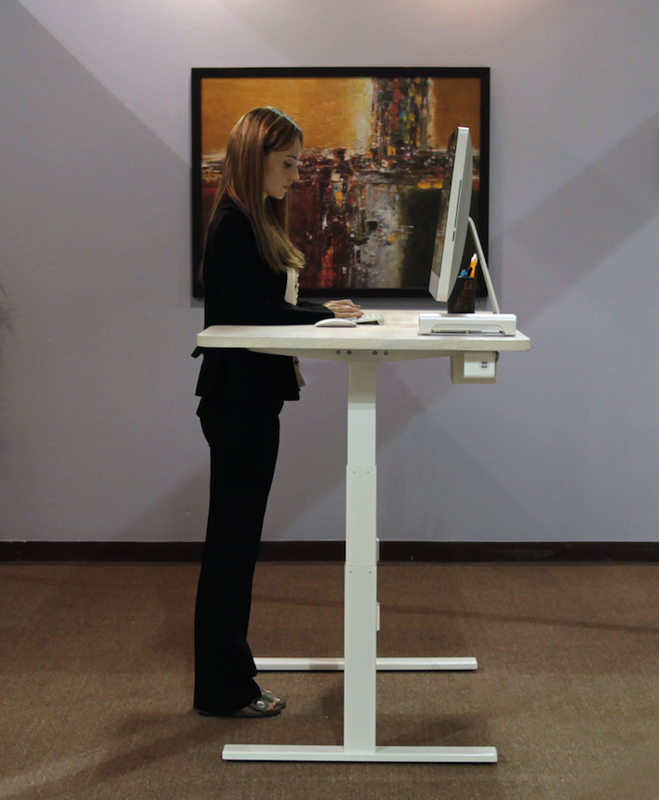 Robotbase has taken its Personal Robot AI and built it into a smart desk called Taylor. Initially it seems like a great idea. 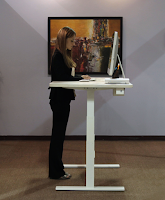 The part where your desk gives you the option to stand or sit is great but after that, everything this desk can do could be pretty much be managed by your smart phone or even the computer you have sitting on the desk. That aside why do I need a desk that I can talk to like a real person? I don't much care for talking to actual real people at the best of the times (sorry, I'm a true introvert). The only autonomous desk I need is one that can do all my work for me so I can go outside and play. The thing is, putting AI into objects is a distraction. You don't need a desk that can order pizza and schedule a meeting. At most all your desk needs to do is hold all your stuff and perhaps adjust its height so you can work standing up if you want. Next they'll be making a chair that does whatever the core functions of a chair are but can also order pizza and arrange meetings etc. How many objects do you really need to order you pizza? We need to stop this madness and get that AI into proper humanoid robots if we're to stay on track for the robot uprising that will end us all... well, not robots, obviously but people, it'll probably end people. With all that talking going on in an office, with different questions being asked and different answers being given, won't it create a 'buzz' and distract everybody? Won't everyone be able to hear everyone else's questions? It's a good job it allows for standing, because it looks like it's stopping you from doing things that would cause you to have to get up and get a bit of exercise plus, stretch your legs a bit. I don't work, but when I did, I never forgot when it was nearly lunch time! Never had to be reminded! Who forgets that. (rhetorical question, I think) I hope there's a button where you can switch it all off at times to think for yourself and get a bit of peace and quiet. Too many distractions I think.